Song Joong-ki looks the same 6 years ago and now. 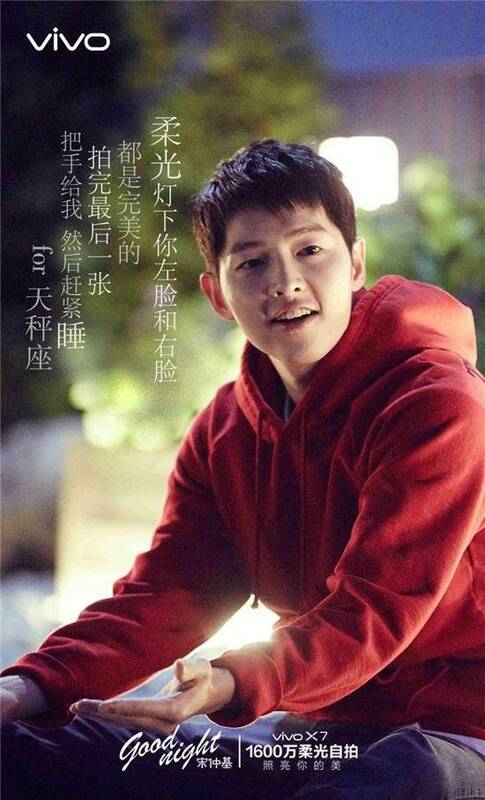 A Chinese cell phone company released pictures of Song Joong-ki on the 15th and 16th. 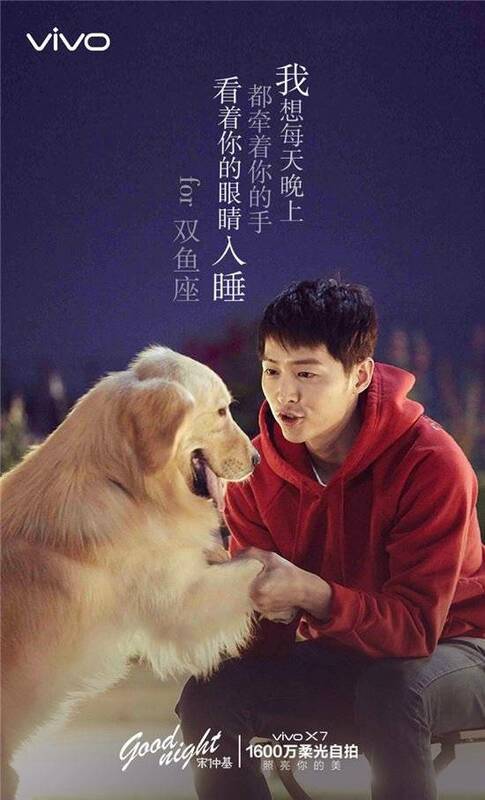 Song Joong-ki is posing with a dog. He looks the same as he did in 2010 when he shot the movie "Heart is... 2". Another picture of him shows him wearing a white hooded shirt. 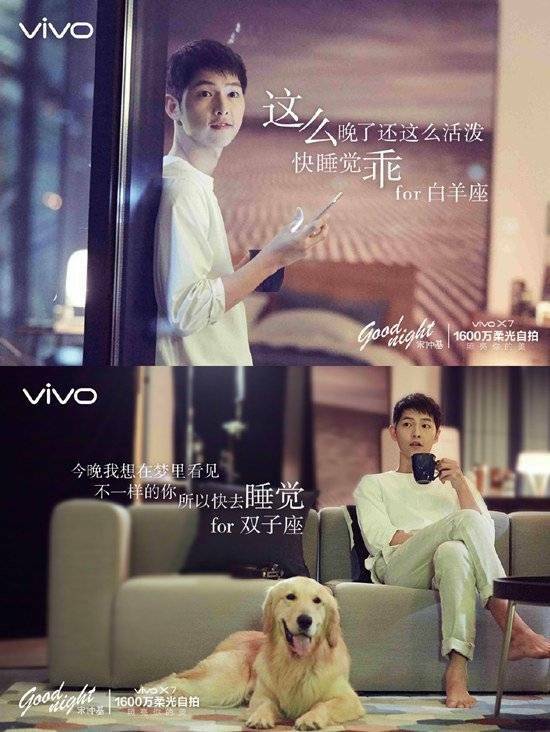 Meanwhile, VIVO which Song Joong-ki is modeling for is one of the leading cell phone companies in China.